Pimlico. Photo by The Racing Biz. The second phase of the Maryland Stadium Authority study on the future of Pimlico is set to be released Thursday. And, according to a pre-release media release, the new Old Hilltop won’t come cheap. The study calls for a complete teardown and rebuild of the existing facility. That would come, the Authority estimates, with a price tag of $424 million. A call to the Maryland Stadium Authority was not immediately returned. That price is significantly higher than the amount the first phase estimated for a track renovation. In that first phase, completed in February 2017, the Authority estimated a new Pimlico would cost between $250 and $322 million. The second phase of the study goes a step farther. Perhaps several steps farther. In fact, it recommends “demolition and removal of all existing structures on the site, including the tracks, infield, grandstand, clubhouse, equestrian barns and associated infrastructure,” according to the release. The tracks would be rebuilt, the existing one-mile dirt surface shortened to 15/16ths of a mile. The new turf course would remain at its current distance of seven furlongs. The Stadium Authority study calls for the construction of a four-story, multi-use clubhouse, which would carry a price tag of $252.2 million. The clubhouse would include “clubs/lounges, suites, rooftop and balcony spaces, dining, space for retail, off-track betting, and/or a museum, ticketing, administrative offices, kitchens,” and various other necessary infrastructure. 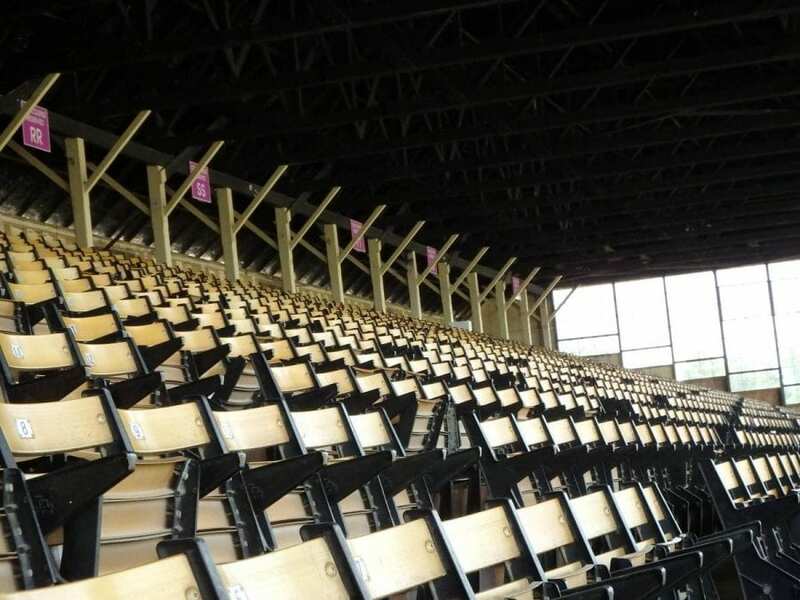 It would include 44 percent of the proposed 30,400 premium seating options at a facility which is expected to have a total capacity of 75,000 for the Preakness. Infrastructure improvements would cost an additional $120.5 million, while work on the infield and track would total nearly $30 million. Demolition would add another $20 million-plus, bringing the grand total to over $420 million. The goal of the overall project is both to make Pimlico a viable home for Maryland’s signature race, the mid-May Preakness Stakes, the second jewel in racing’s Triple Crown, and to turn what is largely economically unproductive land most of the year into an engine of economic activity that can benefit the neighborhood year-round. To that end, the study calls for a variety of other uses to take place on the track’s current 125-acre footprint. Those could include a hotel, homes, business, stores, and a senior living facility. While Baltimore mayor Catherine Pugh told the Baltimore Sun that the study provides a “path forward for the Preakness in Baltimore,” the thorny questions of who pays, and how, now take center stage. The Stronach Group, parent company of the Maryland Jockey Club, which owns Pimlico, has repeatedly said it will not foot the bill for the new Old Hilltop, and it is unclear whether, and to what extent, it would participate at all. PreviousWhich races are in Friday’s Stronach 5? This will not Work ! This is a mistake and everybody knows it …our Leaders on this issue know it as well They do ! They have kicked the Can down the road since when ? ?…the late 70’s? Even a non Racing Fan knows that makes no sense !! Everyone of these leaders ..Hogan..Pugh..MD Stadium Authority ..FSG ( Frank & Belinda ) (Not Speaking) Ritvo …Sal Sinatra… MTHA … Everyone knows it cannot work ! Won’t Do it! Can’t do it! Can’t win with them ..Won’t win with them this way !! Not going to do it !! This proposal is not a winner! Did I mention the International is also coming back and this would give us “Gravitas” with our Euro Chaps! My idea on how to Make …. 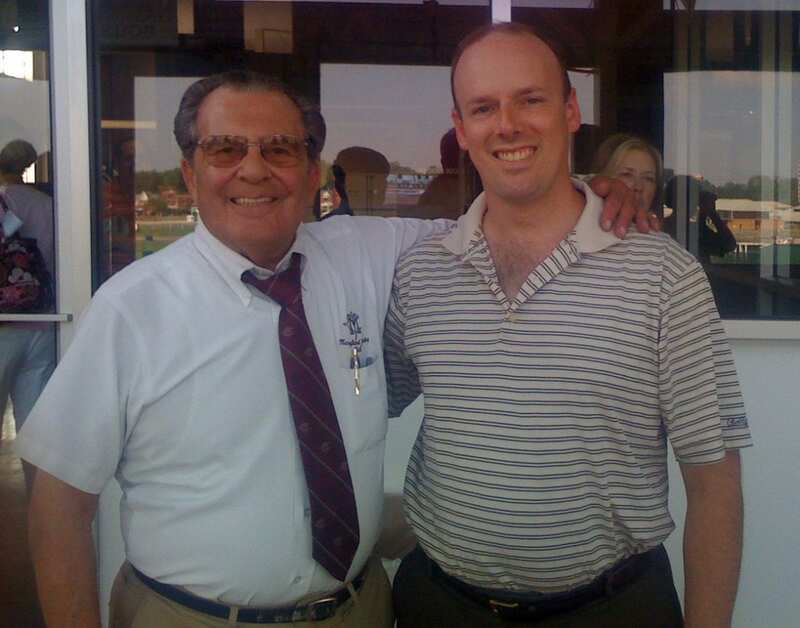 Maryland Racing Great Again !